Debut of the NFHOF’s Traveling Exhibit is a Huge Success! 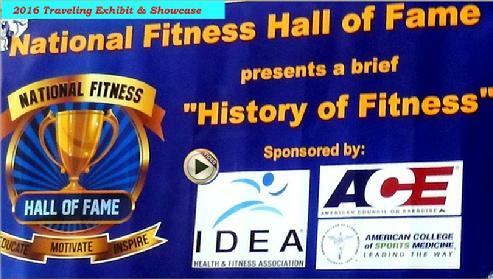 The National Fitness Hall of Fame took its “Show-on-the-Road” as the 2016 traveling expo kicked-off the season stopping in Minooka, Illinois. On Sunday afternoon, May 1st, about a hundred people participated in the NFHOF’s “Be Active” Community Expo which focused on fitness education, active participation and healthy living. Of course, all of this would not be possible without the support of our terrific sponsors; the American Council on Exercise (ACE), the American College of Sports Medicine (ASCM), the National Federation of Professional Trainers (NFPT) & IDEA Health & Fitness. Next stop? The Prevea Health & Fitness Expo in Green Bay, Wisconsin with 14,000 participants!